Synopsis: The Cane Whisperers is a tragic historical saga set in Antebellum Louisiana. When a family of slaves; Jem, Sarah and their children Jack, Coralie and Delia are lost in a card game their lives are thrown into chaos. They are won by ruthless French aristocrat, Julian De Valliere, who keeps the regally beautiful Sarah and her troubled daughter Delia and sells the remaining family members. The story follows their plight for reunion with the aid of abolitionist lawyer Mathew Reinhart, kind hearted prostitute Kaye Sommers, down and out drifter Will Parnell and blue-eyed dreamer Nathanial Colbourne. When they devise a plan for emancipation so begins a game of cat and mouse between Julian and the family he destroyed. Set against the backdrop of New Orleans and Fairfax Plantation, The Cane Whisperers is a story of love, courage against adversity and the elusive quest for freedom in a society designed to keep men and women in chains." About the Author&colon; Jessica Bentley was born in Australia in 1979 and moved with her mother and sisters to the UK in 1986. She currently resides in London with her husband and enjoys writing historical fiction. From the age of sixteen Jessica fell in love with Margaret Mitchell's 'Gone with the wind' and since then reads it every year at Christmas. 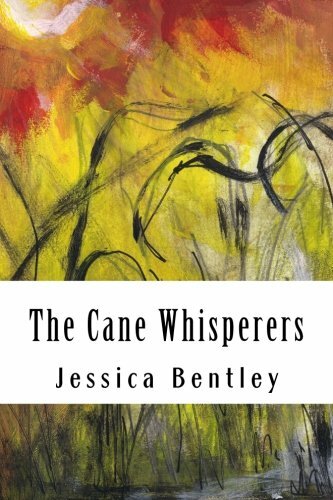 In her debut novel 'The Cane Whisperers' Jessica wanted to create a narrative that was atmospheric of the Antebellum era but one that questioned the very nature of how anyone can be free in a society where slavery exists. The novel deals with how slaves and slave owners justified the institution and found ways to rebel against it and also plays with gender roles so that we see male characters who are as helpless as the typical Southern Belles we are used to. Jessica is currently working on the sequel to 'The Cane Whisperers' which will focus on the next generation of characters and take up where Jem, Coralie and Sarah left off in their quest for freedom.